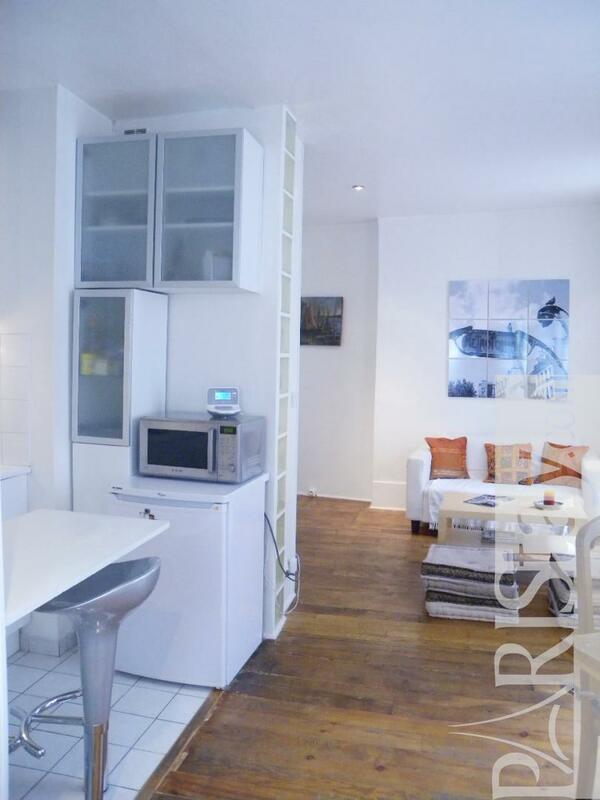 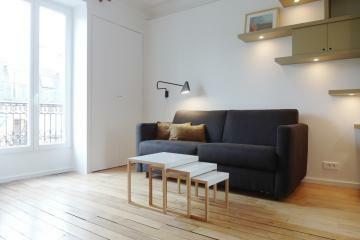 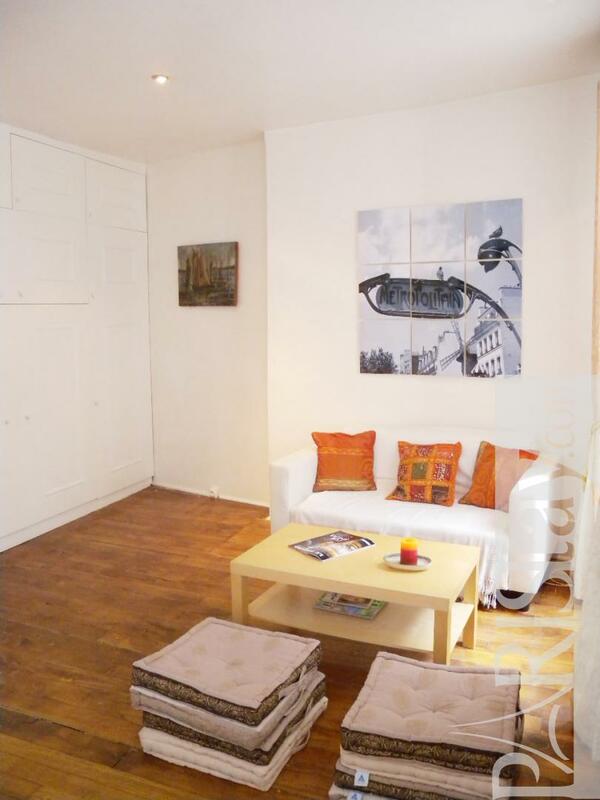 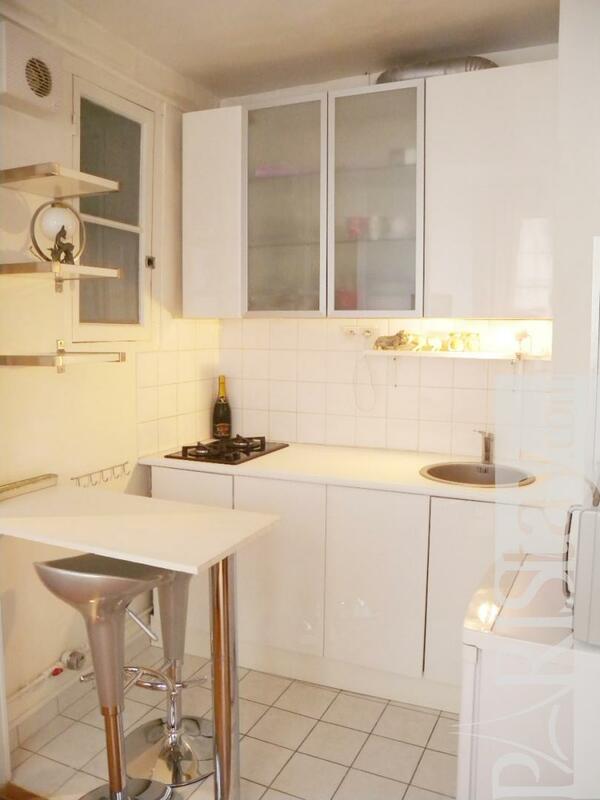 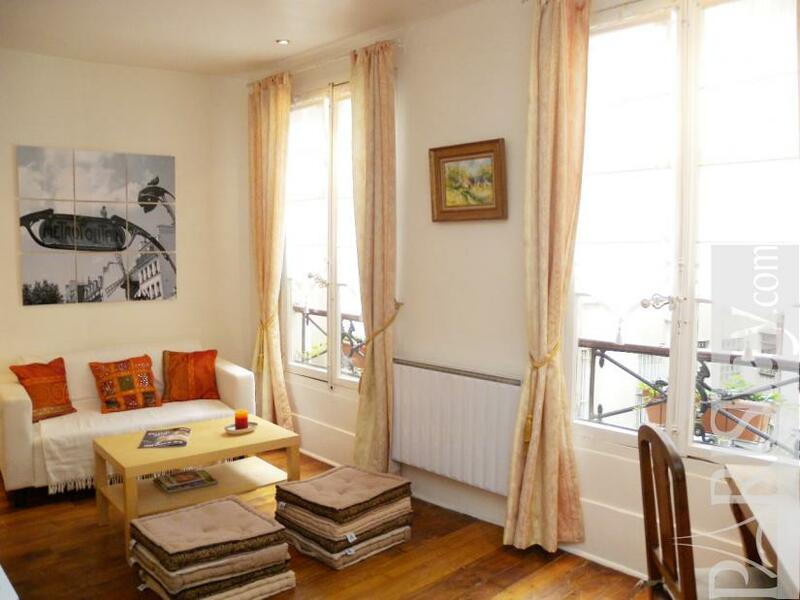 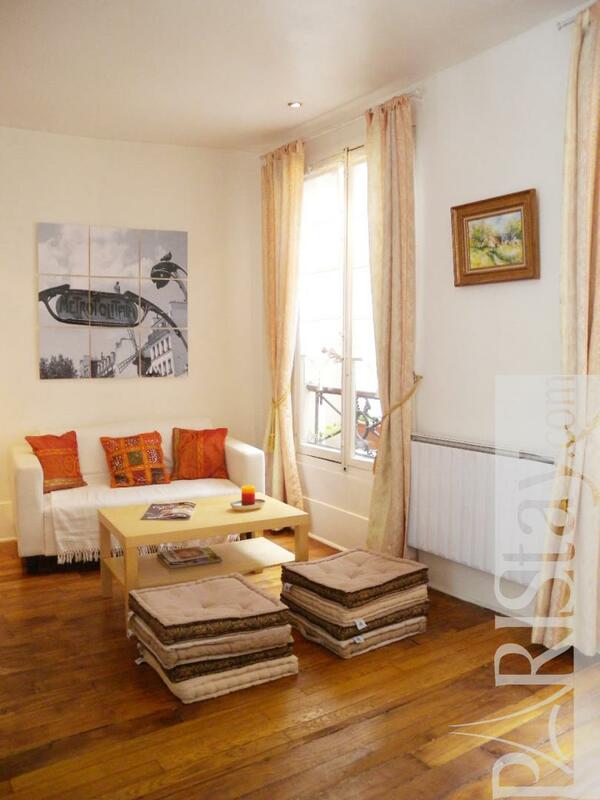 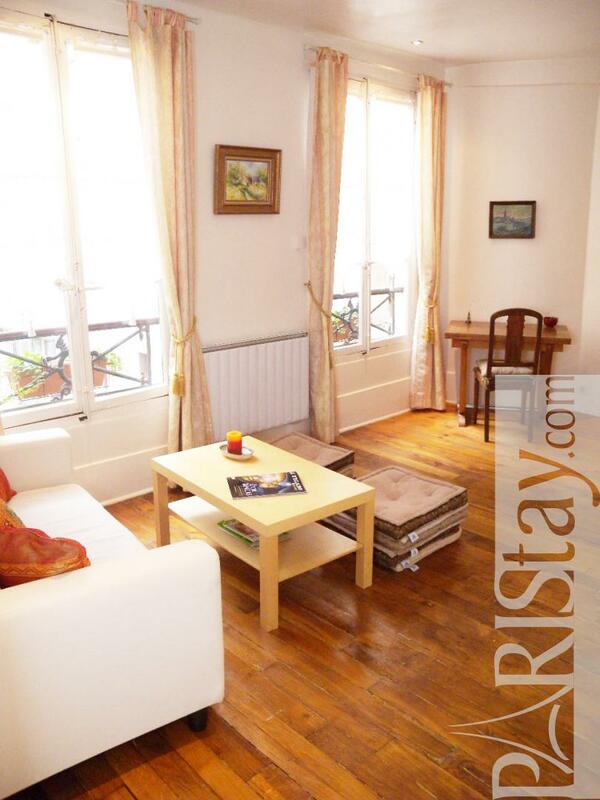 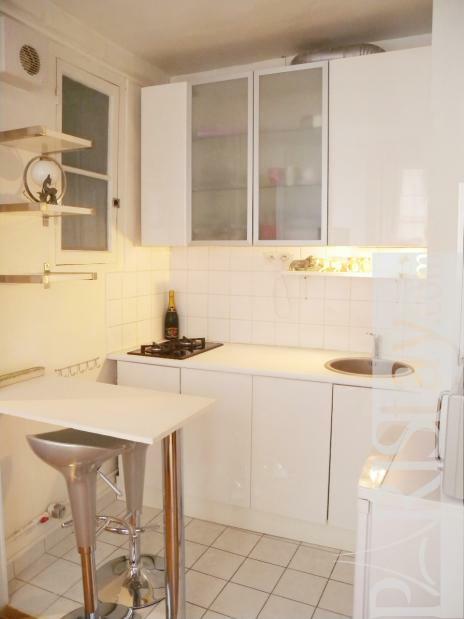 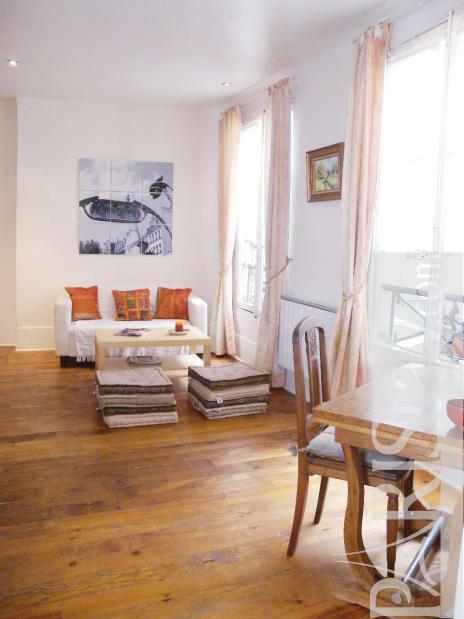 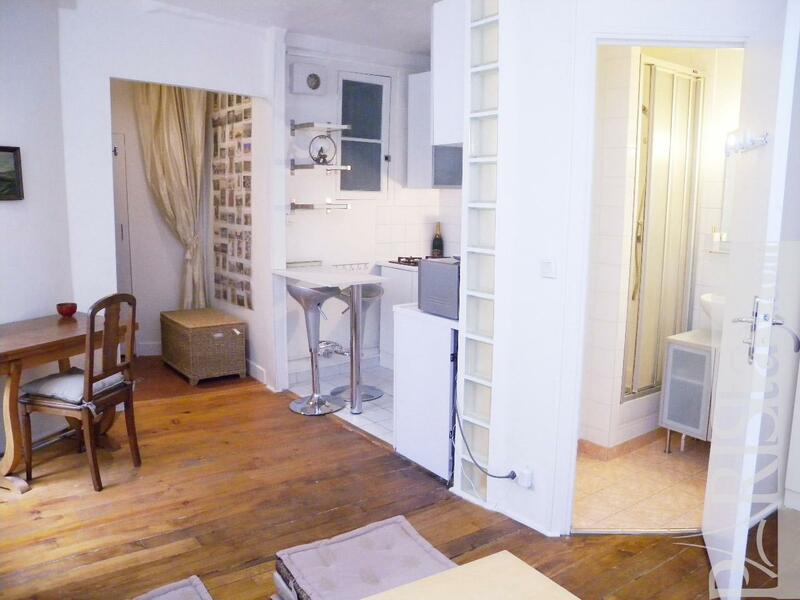 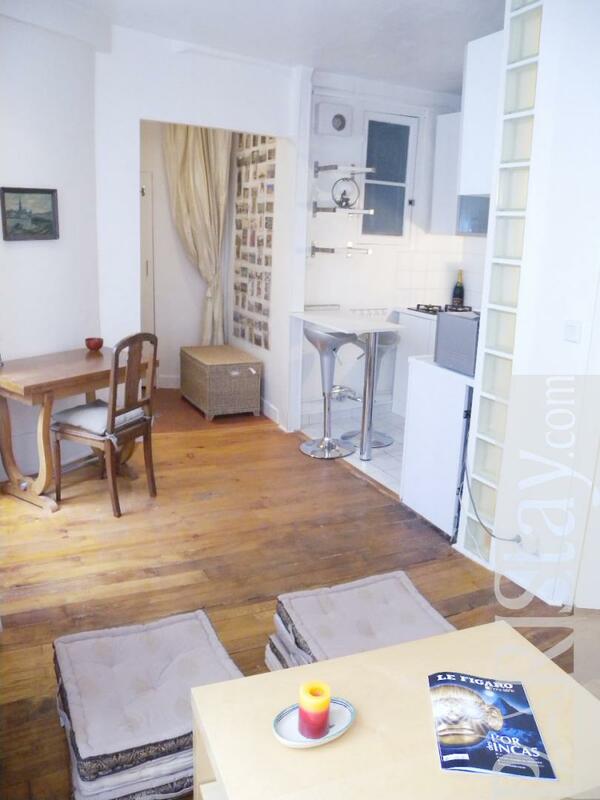 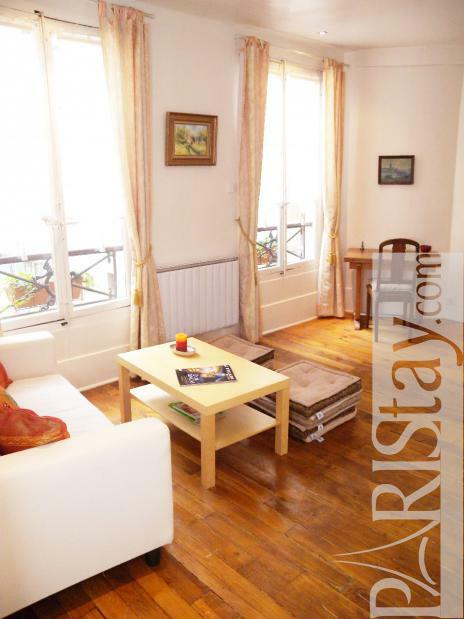 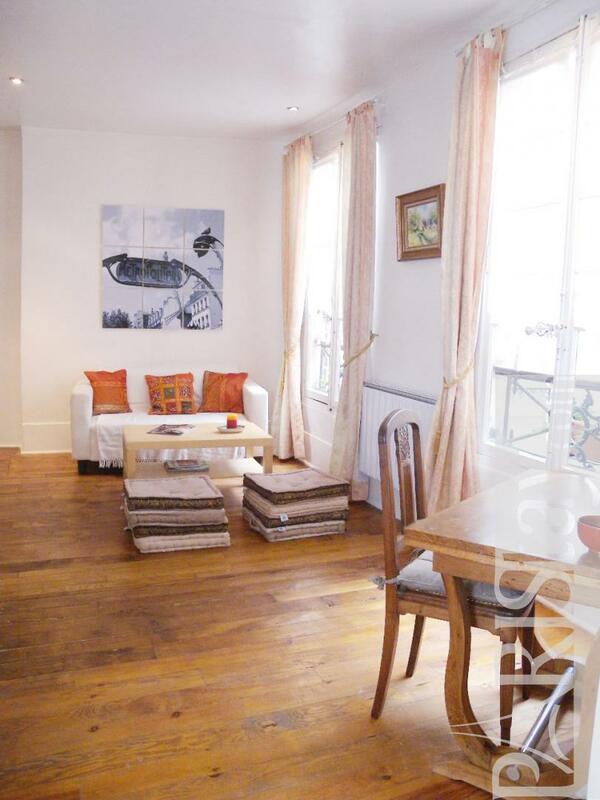 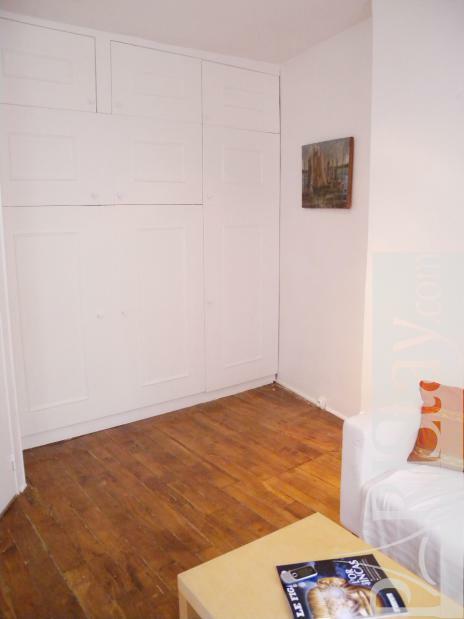 This furnished renovated studio is found in the heart of Paris in the 9th district between the Galeries Lafayette and Montmartre, home to the Moulin Rouge, Sacre Coeur, and many shops and street artists., It is a good way to rent a flat in Paris. 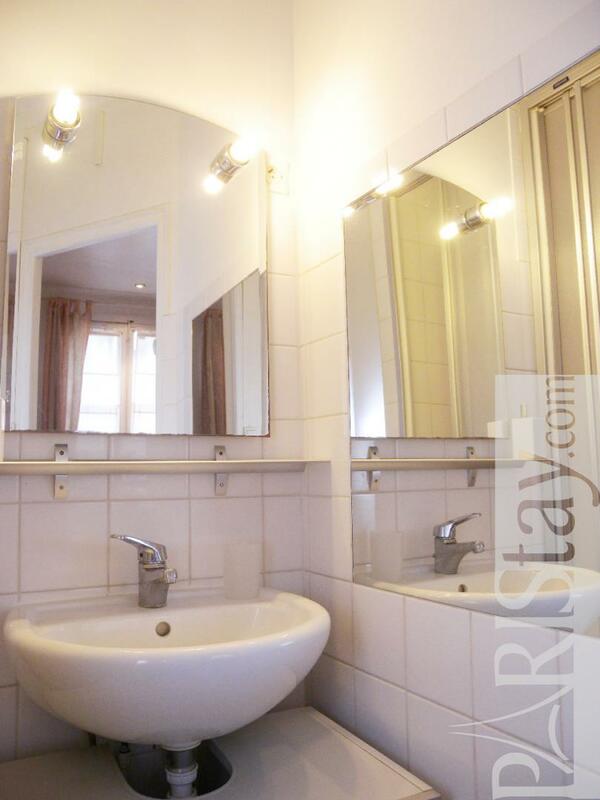 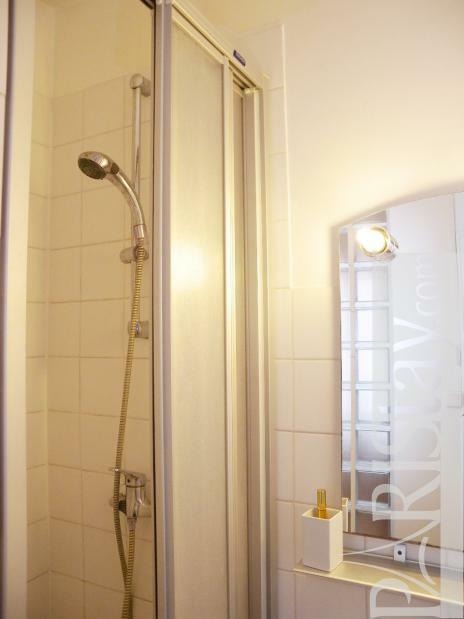 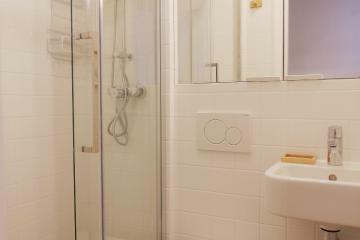 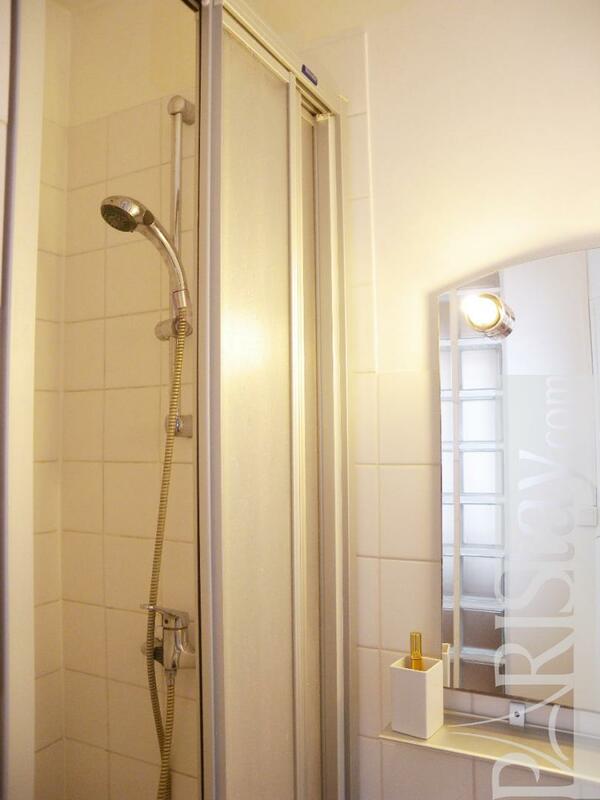 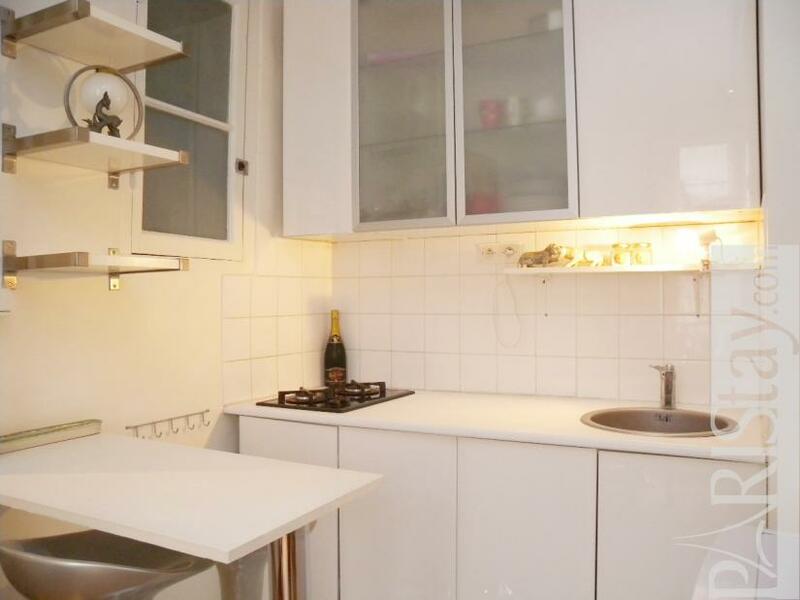 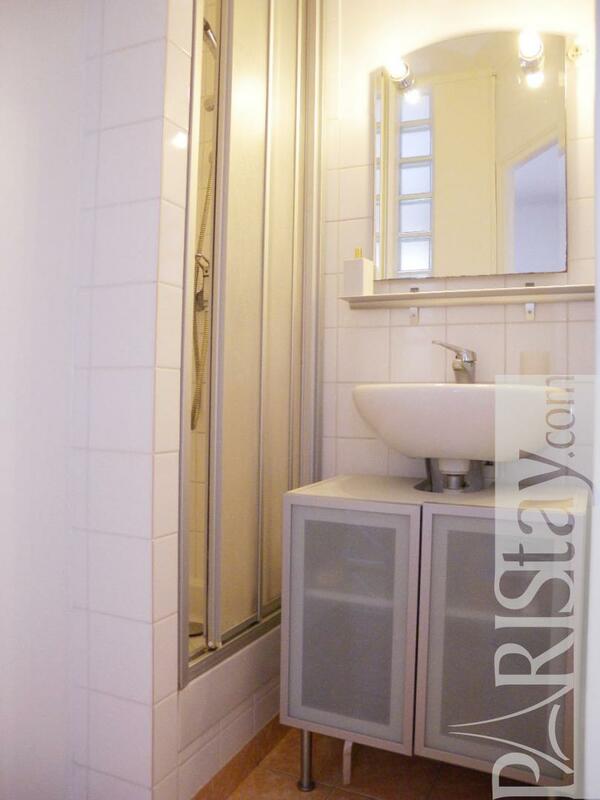 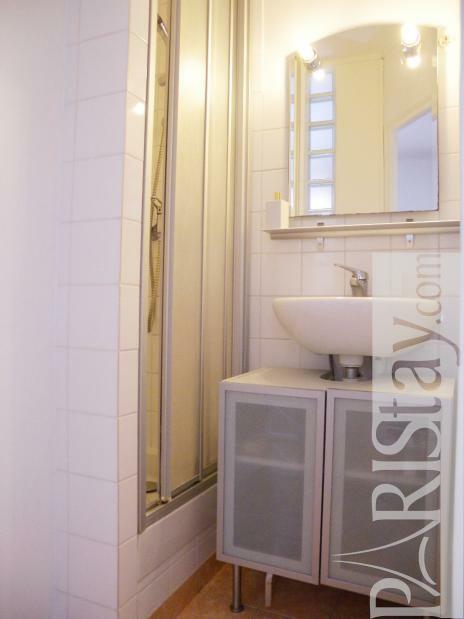 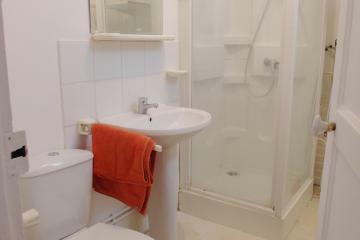 Ideal for a longer stay in Paris you will find an equipped kitchen (microwave / oven, washing machine, cutlery, coffee machine etc...) a separate bathroom with shower and separate toilets. 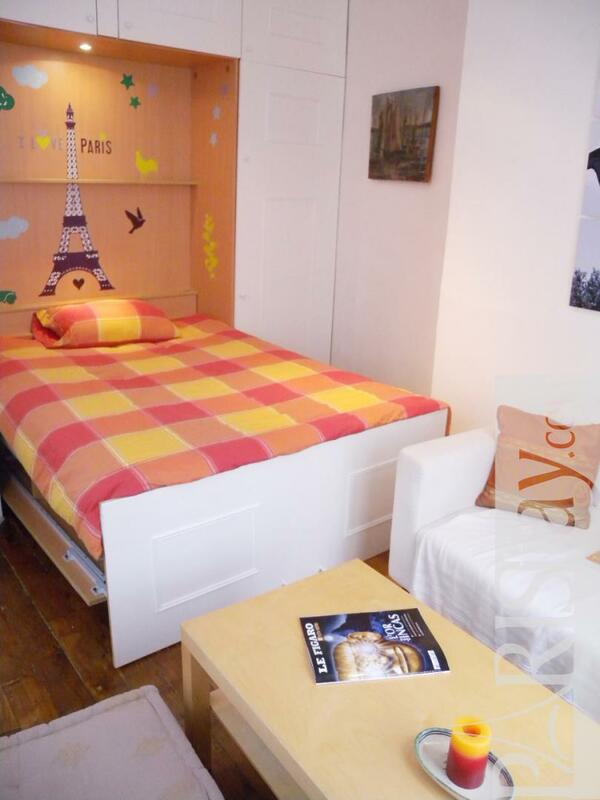 The flat is equipped with a high quality foldable double bed leaving a nice living space during the day with a living room area and a working desk. 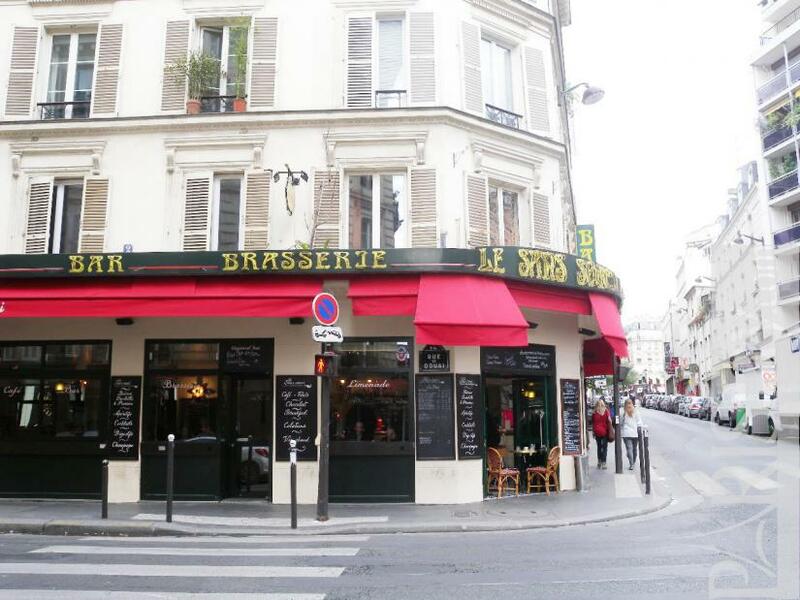 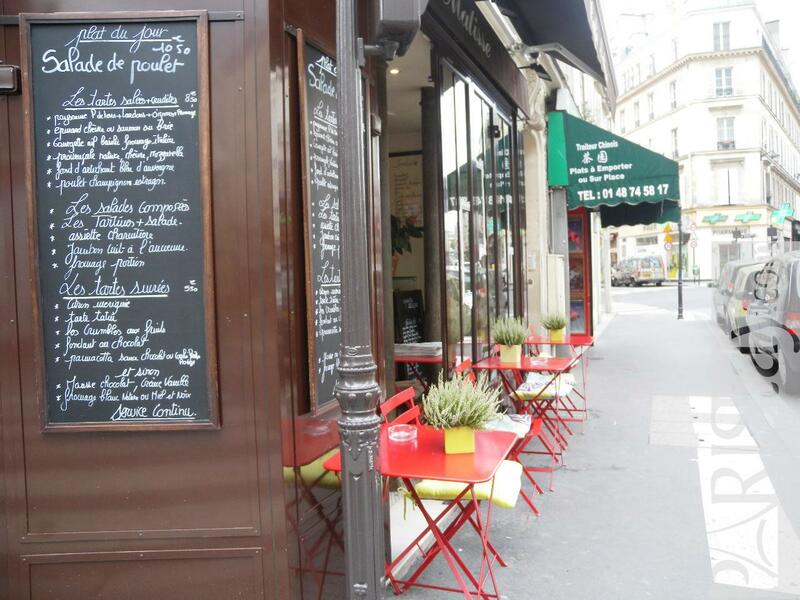 The St Georges area offers a nice quality of life with its many shops (bakeries and other food stores just 20 meters away), the lively food market on the rue des Martyrs and its many theaters. 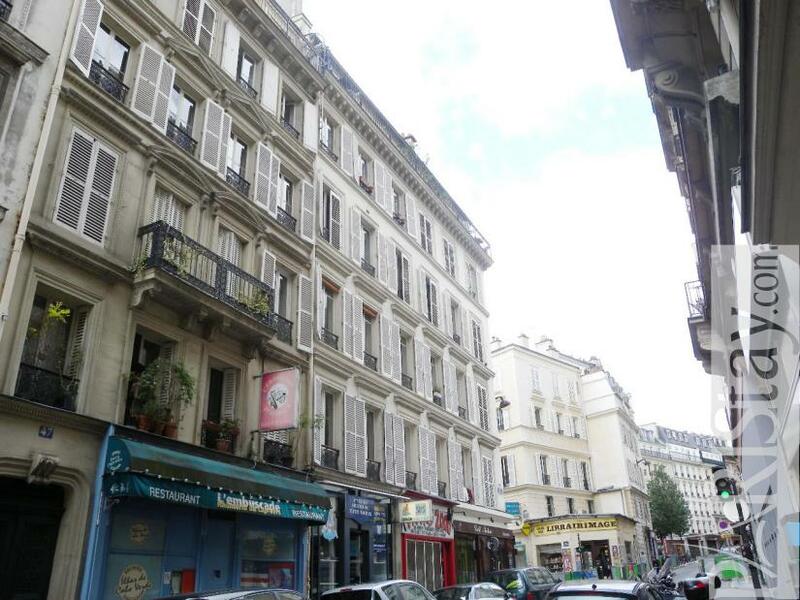 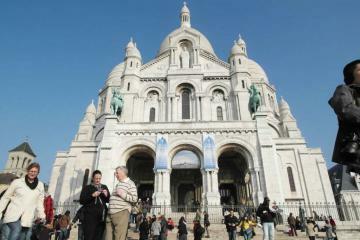 This area is well served by public transportation with bus, metro (line 12 / 2 / 13), RER (St Lazare / Auber). 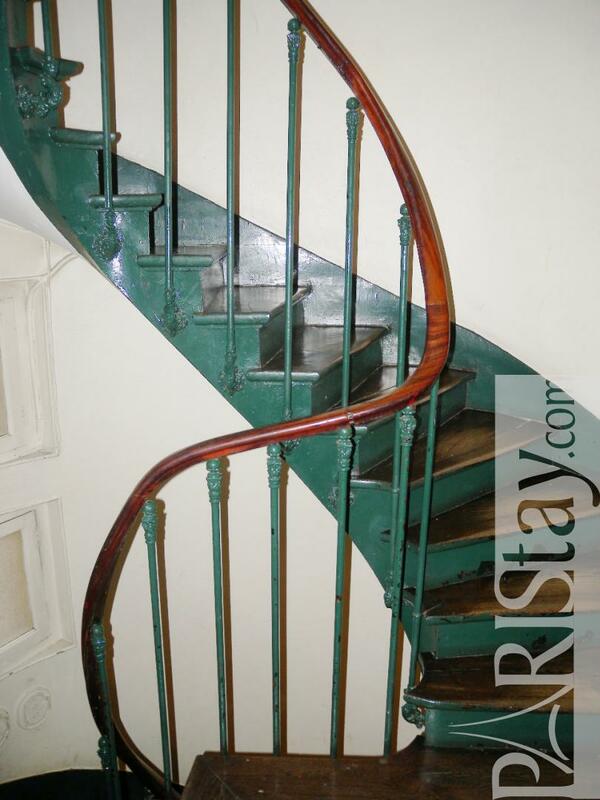 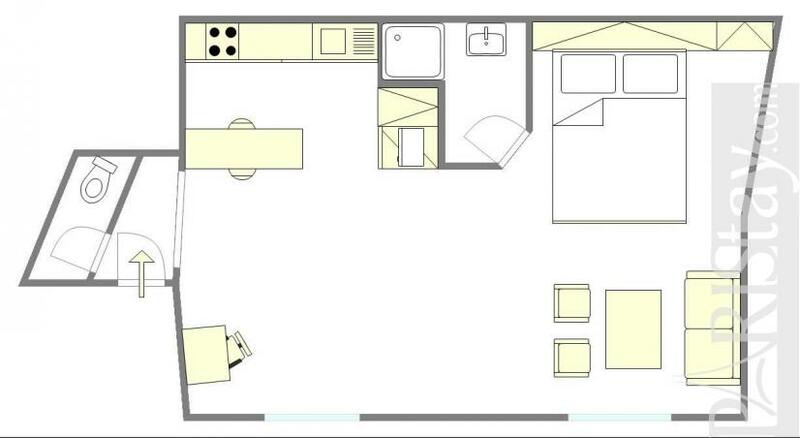 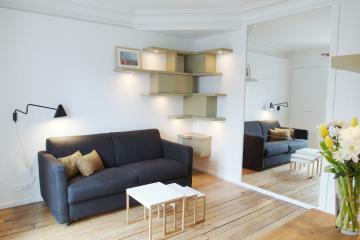 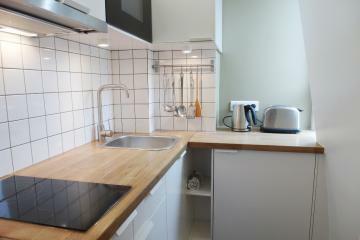 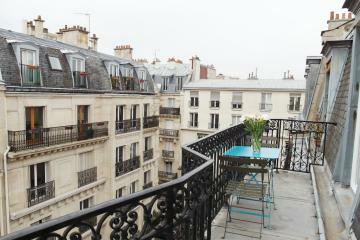 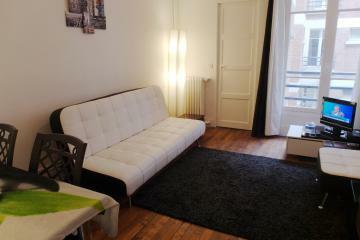 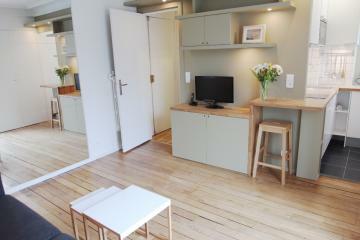 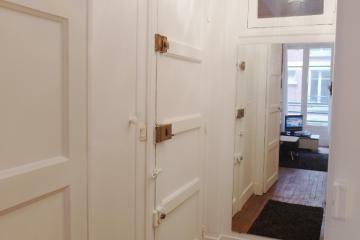 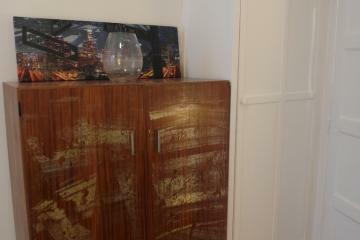 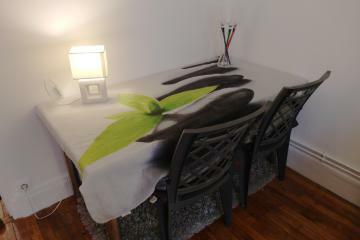 18th's Building, 2 nd floor, without Lift, entry code security system, Studio Appartement, furnished, Approx: 23m² / 247 Sq.Ft.